Running a car? We all know it can seem like there’s something new to pay for every day. In fact, the UK is actually the most expensive country in the world to own a car, with the average cost almost £3,500 – that’s around £1,000 more expensive than the US, Australia and France. How non-essential are some car payments? Whilst ditching the add-ons to your car insurance can be a good idea, it’s important to have a quick think about what might happen if you do – you may be risking even bigger expenses further down the line. Taking breakdown cover as an example, it’s easy to see the benefits. If your car gives up on you on the road, any policy you may have in place can help get you going again, or at least a quick tow home or to your nearest garage. A callout in these instances can cost a lot if you’re not already covered, and with the already sizeable amount you’ve probably forked out you wouldn’t want any extra bills blowing the budget. That’s why so many motorists in the UK take out breakdown cover. Good policies will even include repair costs for your car, but the greatest feature of all is the peace of mind it’ll provide you. In this respect, motor legal protection cover is just the same. This type of legal expenses insurance is designed to help you claim back the out-of-pocket expenses that you’ll be landed with, and whilst this can be done yourself, it takes a great deal of time and effort as well as a certain professional understanding of how to make a claim. With motor legal protection, you’ll enjoy the peace of mind that comes from knowing that someone else will be making and fighting the claim for you. The best policies will even provide you legal defence if you’re prosecuted for a motoring offence, which as we all know can cost a lot if sourced by yourself. When you see the rates being charged by car insurance providers, it may seem like the first cover to cut on – Churchill charges £26.50 a year while a policy with Swinton will set you back £30.00 (accurate as of 11th February, 2015). However, avoiding your insurer and instead buying motor legal protection separately as a standalone policy can save a lot. Cover with Best Price Financial Services will cost as little as £9.99 per year, meaning you won’t have to skip on it after all. 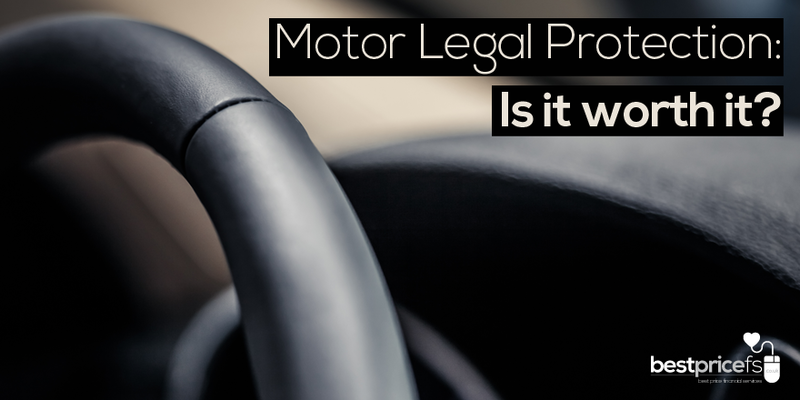 So while it can be easy to see motor legal protection cover as one more unnecessary expense, the reality is that one little yearly fee can save you hundreds in claiming back your costs. In the already stressful event of an accident, insure your peace of mind with motor legal protection.